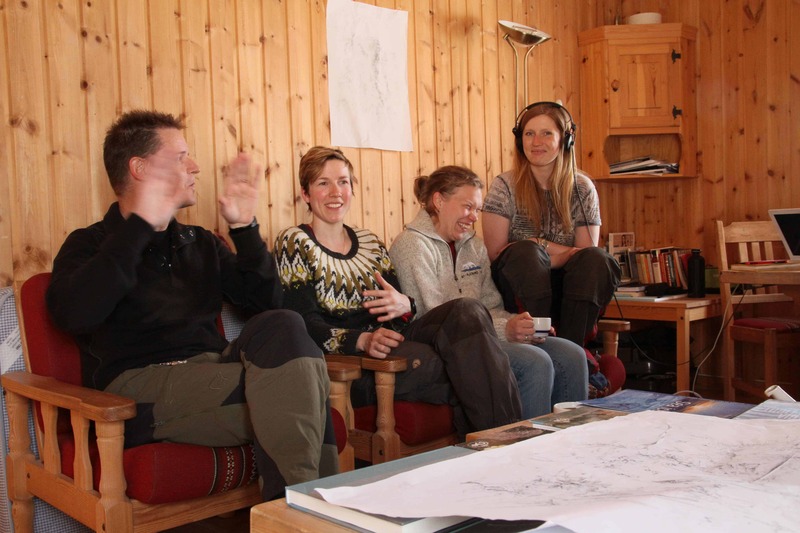 During Randi Nygård and Karolin Tampere´s stay as artists in residence in the scientist village Ny-Ålesund in Spitsbergen, they got an request from the local Air traffic controller to make an exhibition. Taking on this challenge they invited residents and scientists of the town to an mini-exhibition of their ongoing work. Drawings, research books, found objects and a sound collage compiled from their work in the area were installed inside their wooden small cabin.